New to the world of mobile apps? You must be wondering what App Store Optimization is? We’d like to shed some light on this very important technique which is basically an action plan used to hike up the visibility of apps in the app space. Now that mobile apps are ruling the roost over others in the digital world, it is imperative that you know how to make your app stand out to market it. It is a fact that there are over 2 million mobile apps in the major app stores of the industry and one of the biggest issues facing mobile app publishers today is getting your app discovered. According to recent studies conducted, 63% of apps are discovered through app store search. As search is the largest app discovery method, it makes App Store Optimization (also referred to as ASO) extremely significant for anyone who is looking to boost their mobile app’s discovery or ranking. Why Should I Care about App Store Optimization (ASO)? Most app developers face this question. The simple answer is that the higher your app ranks in an app store’s search results, the more visibility it has to potential customers. It can even translate into more traffic to your app’s page in the store. With ASO, your mobile apps can be optimized to rank higher in an app store’s search results. The main objective of ASO is to drive more traffic to your app’s page in the app store and it might boost your downloads, bringing in more revenue. What with many apps in each app store vying to rank above each other, the amazing reality is that publishers are not investing in app store optimization, it is sadly overlooked! Just like Search Engine Optimization helps in higher ranking and indexing of web pages, App Store Optimization can bring on remarkable changes on the marketability and indexing of your app. 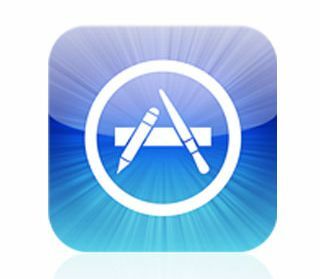 App Store Optimization includes the process of ranking highly in an app store’s search results and top charts rankings. ASO is very relevant for those that are looking to increase app downloads. Ranking higher in search results and top charts will drive more downloads for a mobile app. Once you are sure that your mobile application is bug-free and its operation is flawless, it is time to tune up store search options with ASO! App Store Optimization involves more than just optimizing your app store assets like title, description, icon, screenshots, preview videos, localization, ratings, reviews, etc. Factors like bad ratings, bad reviews, uninstalls, low engagement and low retention can create havoc on your ratings. ASO can work magic to get positive results for you. To take it further, you can choose distribution channels and leverage your contacts at the app stores to get featured with important updates and off-page optimization. Back linking to your Google Play Store, creating social channels like a Facebook page, etc. can also be done to hike up ratings. Now coming to the mechanics of ASO, let’s start analyzing the various components that can affect your ASO. The Title keyword plays a major role in improving your search rankings, as do the keywords used most often by your target audience. The ASO process necessitates a crucial understanding of your target customer base, specifically, the keywords your potential customers are using to find apps similar to yours. In addition to being the most important factors for ASO, the fact that the title and keywords can be modified easily means that you can regularly optimize them. Just spend some time researching which keyword clicks. When you learn more about that, you will have a better understanding of the language of your potential customers and you can hone in on your keyword choices. Secondary factors include the total number of downloads, as well as ratings and reviews which are above our control. However, there are ways to get happy users to rate and review your app. Connect with your customers inside your app, giving them a place to vent and talk directly to the developer. As your app begins to rank higher and gain more reviews, the app becomes more popular. The rising competition in the app space has led to publishers and developers feeling the heat of it. They do need to optimize their app store presence to get some traction. It can be very well said that if you’re not using ASO to increase your app’s search ranking, you’re missing out on a lot! It’s time to get down to business – ASO is a strong weapon up your sleeve! Getting found is one of the most difficult challenges for mobile apps, but it is a problem you can actively solve. Just spend time and effort on a weekly basis to improve your ASO, and you’ll start seeing a positive impact on your app’s ranking. You will no doubt be treading the path to app store success! Next post: Can your mobile work efficiently without mobile accessories?